4 Discs* -- 72 Songs -- sing-along book -- all in one set! WebOnlyPiano is proud to have teamed up with Hal Leonard Publishing in order to offer sparkling holiday delight! 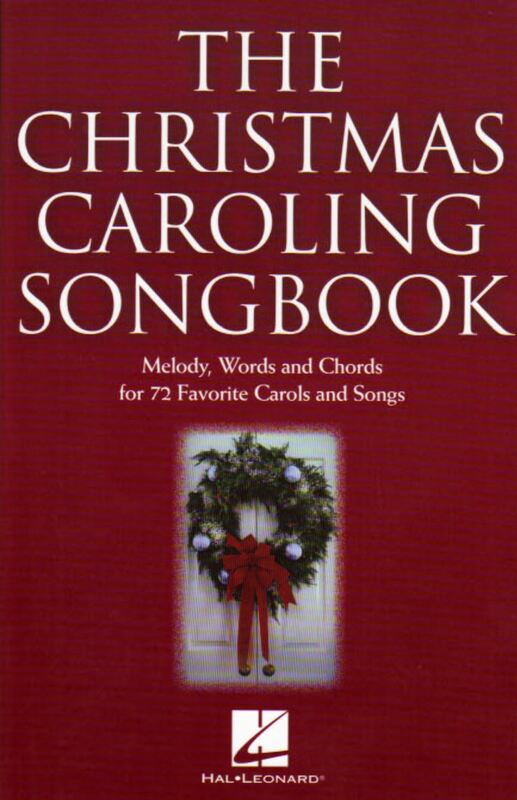 The Christmas Caroling Songbook contains 72 favorite Christmas Carols and songs with Melody, Words and Chords, plus a four disc set* of fun accompaniment tracks. Each song features "gather around the piano" sing-along accompaniment tracks with the melody cued by holiday bells and chimes,** to help guide everyone along. This is the ultimate Holiday Party Sing-along book and disc set! 72 favorites housed in a festive red cover, with easy-to-read print pages measuring 5.75x9 inches for convenient handling while singing. And, if you're planning a large party, you may purchase extra books separately in one or five pack arrangements. Available in all player-piano formats,general midi files (complete with lead notation and lyrics) and standard audio. 9. Christ Was Born On Christmas Day 45. Let It Snow! Let It Snow! Let It Snow! 34. I Heard The Bells On Christmas Day 70. What Are You Doing New Year's Eve?